Paint is a mixture liquid substance consisting of a liquid binder and a powdered pigment. The pigment is the substance that gives paint its color, while the liquid binder acts as a vehicle to allow the paint to be transferred to the surface of the material. Paint is used for artistic and practical purposes; it is applied to certain surfaces and materials as a coating or for aesthetic reasons. In the artistic view, paint is the medium of choice for artists in creating particular works of art and expressing themselves through their paintings. As for the practical application, paint is used as a protective coat against water, heat, rust, and various environmental elements. Paint has several bases. It could be oil, water, or other substances. Paint also has different types depending on its classification. One type of classification is the paint itself (which includes enamel, acrylic, watercolor, tempera, poster, and others). The other category is the paint’s place of application (primer, interior, exterior, floor, texture, aerosol, fire-retardant, etc.). Depending on the purposes and intended texture, any type of paint can be used for any purpose. In the application of paint, it is possible to use many types of paint on a single surface. For example, enamel paint can be applied on top of lacquer paint. When there is a need to add another type of paint, acrylic paint is the best option. 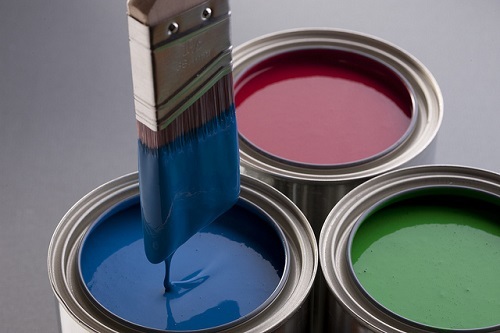 One of the most common types of paint is enamel paint. The technical term for this type of paint is acrylic enamel. It gives off a glossy and hard finish after it is applied on a surface. Enamel paint can be oil-based, water-based, or latex-based. Enamel paint is further classified into three kinds: floor enamel, fast-drying enamel, and high-temperature enamel. 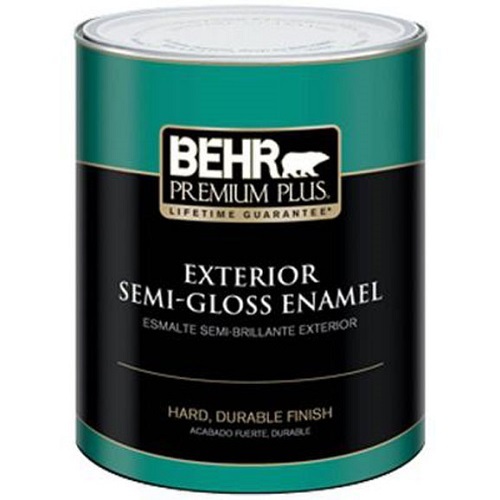 Enamel paint is characterized as durable and stain-resistant paint. Due to these characteristics, it is often applied on outdoor surfaces or structures. It is also perfect for environmental factors – dealing with volatile temperatures, waterproofing, and rot proofing. Since enamel paint hardens fairly quickly (if its solvent is a thinner), it is often very hard to work with. It usually comes in aerosol cans and spray guns as opposed to paint cans. Enamel paint’s composition, aside from the solvent and the pigment, can include glass powder or metal flakes for its gloss. Like many other types of paint, enamel paint can also be used for artistic purposes. 1.Paint is a general term for a mixed liquid substance that is applied to various surfaces for artistic and practical purposes. Paint, as a mixture, is comprised of a vehicle and a pigment. On the other hand, enamel paint is a specific type of paint that falls under one of its classifications. Enamel paint can be used both in artistic and non-artistic ways. 2.Paint can have many classifications, and enamel paint is subject to those classifications; it has three types: floor enamel, fast-drying enamel, and high-temperature enamel. 3.Due to its stain-resistant nature, long-lasting protection, and certain gloss, enamel paint is a popular choice for outdoor surfaces or surfaces that are constantly exposed to volatile or extreme temperatures. It also serves the dual purpose of protecting the surface or material while also giving off a glossy sheen that serves as the paint’s aesthetic value. 4.Enamel paint can also be utilized for artistic purposes, even though it can be tricky to use due to its hardening characteristic when dried. There are some brands that offer enamel paints for this particular purpose. The paint is usually encased in aerosol cans and spray guns for more effective and efficient application. Celine. "Difference Between Enamel and Paint." DifferenceBetween.net. August 3, 2017 < http://www.differencebetween.net/science/chemistry-science/difference-between-enamel-and-paint/ >.